Hotel Kingfisher Udaipur is one of the is best Luxury hotels in Udaipur. It is located on the main transportation road of Udaipur and nearby from bus stand and railway station. It is also having one more attraction point very nearby and that is Marvel water park. You can spend your fun filled day at marvel Water Park and rest peacefully at night at hotel Kingfisher Udaipur. It is an ideal place for comfortable stay with your family or your loved ones. It offers a myriad of hospitality services to spend your best time of vacation. 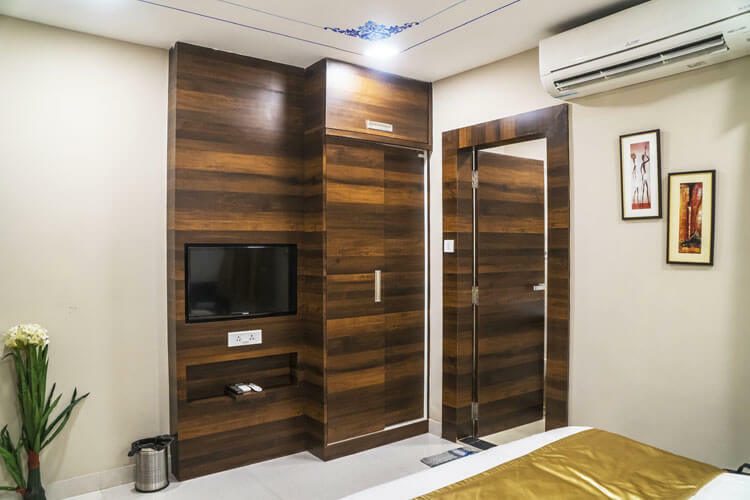 So, If you are planning a visit Udaipur city then, hotel Kingfisher is one of the most prominent option for you to stay at as they also have one of the best Udaipur group packages. Hotel Kingfisher Udaipur pampers their guests with ultra modern amenities, luxuries and utmost comfort and provides them all the necessary services like room service, cable and satellite TV, elevator, mini bar in room, travel desk, free parking service, sightseeing arrangements, power back, laundry service, conference hall, service apartments for family stay and many more for your comfortable stay in Udaipur city. Hotel kingfisher Udaipur is one of the finest budget hotels in Udaipur with most amazing Udaipur hotels package and Udaipur tour packages which attracts all type of guests, let it be a leisure traveller or a business men, this property is a perfect place to have a great stay in Udaipur for one and all. It is a beautiful place to spend quality time with your loved ones and your family. They have the perfect ambience and accommodation available in every one’s budget. This property fulfils all the requirements of all kinds of guests and helps them to have fantastic holidays. 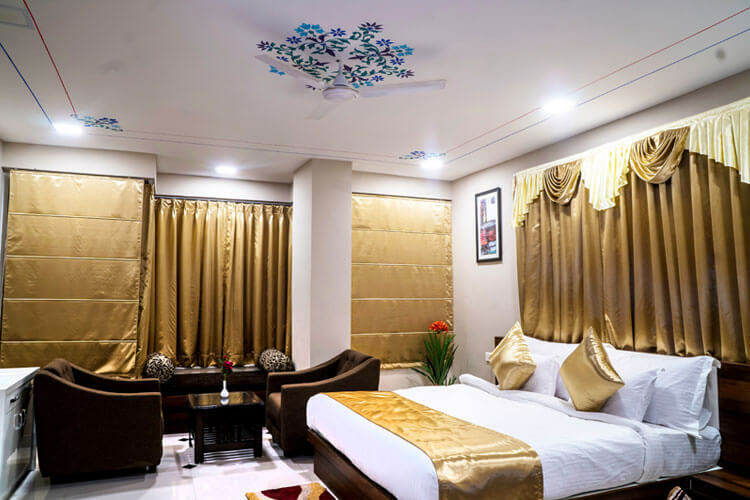 If you are planning a trip to Udaipur with your family, then this will be the best choice for you, make Udaipur hotel booking at hotel Kingfisher, as it is very near by from almost all the sightseeing places of Udaipur and also not much away from the transport stations like bus stand, railway station and the airport. Plus you can also have some fun with your loved ones or your friends in nearest Marvel Water Park and make memories for life time. They also have a finest banquet halls in Udaipur which can be booked for various occasions like birthday party, engagement, marriage occasion or any kind of business conferences. They provide all the facilities for these functions. So you don’t have to worry about anything once you book the banquet hall; they will take care of everything starting from decoration catering and everything. Their policy is to serve their client the best. So, it will definitely the best choice for you to have a most comfortable stay in Udaipur or any corporate meeting, family function or destination wedding in Udaipur. © 2019 Hotel Kingfisher Udaipur. All rights reserved.